When it comes to running, having a good pair of feet is ideal for the fastest, most optimal performance. While some of us might have that perfect, medium arch, most of us do not have it, instead having either high or low arches, which can cause some problems in the mechanics when we run. That said, it is a good idea to get cushion insoles, which can not only help correct your form and support your feet, but they also provide comfortable with its cushioning system. With so many options out there to choose from, it might seem daunting at first, but we are here to help! Read more to learn how to find the best cushion insoles for running, and pretty soon, you will be ready to hit the trails in no time. 1. Cushion insoles help you avoid injuries. 3. ﻿Cushion insoles can lower pain from injuries﻿. 2. Check your feet measurements. *Below, you'll see more detailed reviews, but you can also click the links above to see current prices, choose the colors and read customer's reviews on Amazon. In essence, wearing cushion insoles (or insoles, in general) is to make sure that you do not get injured from running. Considering that the majority of us do not have medium arches (and instead high or low arches), it puts us at risk for developing foot problems, which in the end can lead to pain, whether temporary or chronic. Studies have found that, by wearing cushion insoles, they can prevent problems such as Achilles tendinitis, plantar fasciitis, and tarsal tunnel syndrome, all of which can contribute to even more foot issues down the line if not treated properly. That said, cushion insoles offer that support as means of preventing them from happening at all. For more information about Plantar Fasciitis, read my previous article﻿ here. 2. Cushion insoles can fix bad posture. 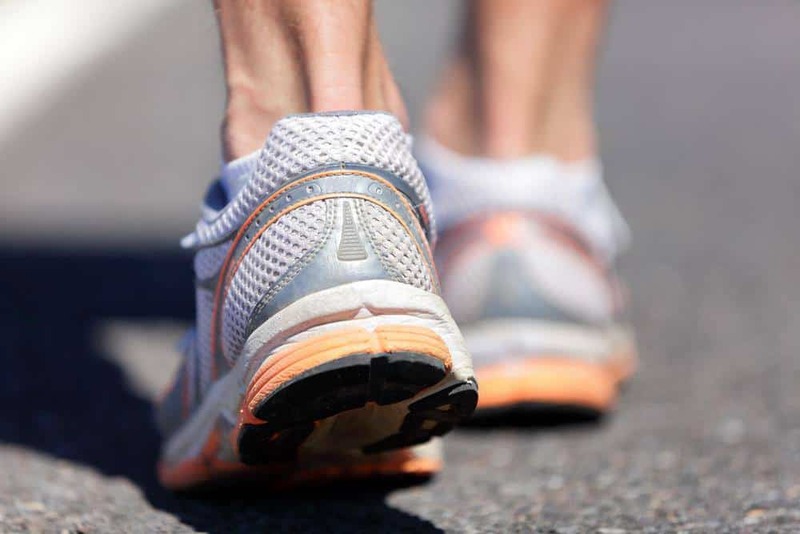 Granted, it can be very difficult for runners who especially have high or low arches to run properly, for their body adjusts itself in order to make up for the deficit in their foot types. As a result, poor posture (e.g. arched back, improper running form) happens. 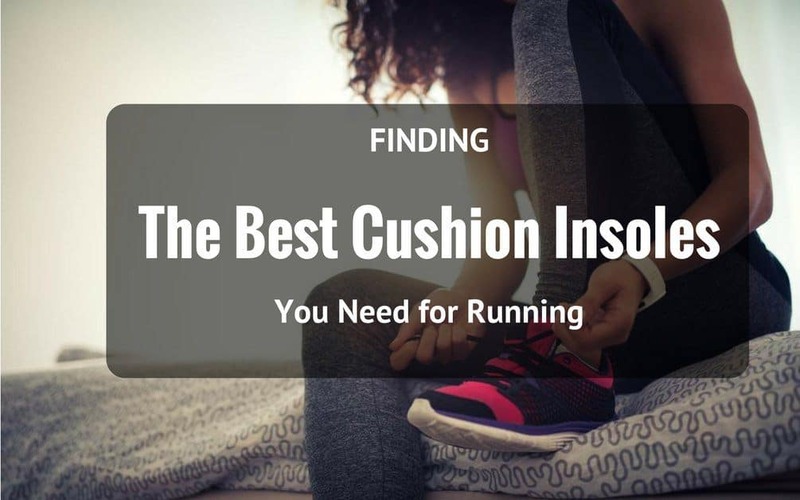 Therefore, cushion insoles assist runners by correcting the alignment of the legs, thereby keeping the ankles, knees, and shins properly straight and fixed. In the process, it corrects the mechanisms of your body, especially when it comes to proper running form, so that you can be faster and more efficient with your strides and so forth. 3. Cushion insoles can lower pain from injuries. Sometimes, you are bound to get injured from running, even if it was not expected in the first place. Resting up is the most important part, but at the same time, having cushion insoles inside of your shoes can be a first step to getting right back on track afterwards. Having a cushioned surface can slowly ease you back into the running process, and overall help do daily chores in your household. Our article on more reasons to choose insoles for running can be found here. Before you even get started finding and purchasing your cushion insoles, consider talking to your doctor on whether you really need insoles or not. Here, you can discuss just how often you run and otherwise exercise, and see if investing in a pair of cushion insoles would benefit from that. Although it is an obvious, it is important to check that the cushion insoles actually fit inside your shoe. To make sure that this happens well, either measure your own feet first or get a fitting at a local running/sports store. A good cushion insole is not only comfortable, but also firm while being flexible at the same time, able to bend along with the movement of your feet. It is also a huge plus if they were machine washable, so that you can just pop them into the washer and have them all cleaned up for the next run. While there are plenty of good, pre-molded cushion insoles out there, there is still a chance that you have not found the right fit for you. That said, perhaps a good idea is to consider customizing your insoles, which compared with your typical, over-the-counter pair can be a bit pricier, but they will serve you well in the long run. We have written about orthotics in general, which might benefit you for knowing more about it. We also have an article on insoles for flat footers out there, so you can give it a try, too. Sof Sole’s shoe insole has a neutral arch design, which is geared to fit and accommodate for just about any foot type out there. In addition, its Hydrologix moisture management treatment keeps your feet cool and dry, so there is no problem with sweat and odor. Finally, there are gel pads for heel and forefeet cushioning, which altogether makes it a comfortable cushion insole to have. Has a special Hydrologix moisture management treatment feature to keep your feet cool and dry. After buying Sof Sole’s shoe insole, I set about wearing them right away. I found it to be quite comfortable, and I really appreciated the Hydrologix moisture management treatment technology, as I found my feet to stay dry and cool even after being up on my feet the whole day. However, the neutral arch could be improved on, since it cannot quite accommodate for my flat feet. Made from rubber and long lasting, Dr. Scholl’s massaging gel work insoles are a popular one to have inside of your shoes. Not only does it help support the curves and dips of your particular foot type, but it also can help with taking away any foot pain caused by being up and working all day long. It offers plenty of cushion for just about any foot type, which is always a bonus. Is made of rubber, which is a sturdy and flexible material that is good to have as an insole. Can help take away foot pain while also keeping your feet supported. Is long lasting, able to be used for a couple of years depending on how often you wear them. Not as supportive toward the ball of the foot, which can be slightly uncomfortable for some people. Everyone has been telling me that Dr. Scholl’s is the way to go for good cushion insoles, so I decided to buy them and give them a try. I found them to be comfortable enough, and they definitely helped me stay pain-free on my feet throughout the day. The only issue was that there could be more padding on the ball of the foot area, which I felt was lacking a bit, to my dismay. With a four-way stretch fabric and blister and odor-controlling features, Spenco’s Polysorb shoe insoles have leveled up the way technology is taken to create a new and improved cushion insole for the dedicated runner. Its lightweight, polysorb polyurethane foam provides arch and heel support, and they also come with a heel plug for that extra cushion that you might need. Is made from a lightweight, polysorb polyurethane foam for arch and heel support to keep your heels supported and comfortable. Spenco Polysorb’s shoe insoles were wonderfully flexible when I first tried them on. Even after running for several days, I was happy to see that I received no blisters from all of that exercise. They are lightweight, too, so I had no problem inserting and removing them when switching between shoes. However, I would say that the arch design is pushed too far back, so that my actual arches are not as supported as I want them to be. Trimmed to the size of your shoe, Miscly’s gel comfort insoles requires no need to do the actual trimming yourself, in order to have it fit inside of your shoes. With a honeycomb design and a deep heel cup, you can be rest assured that these insoles offer support and flexibility, along with stability for your feet, respectively. 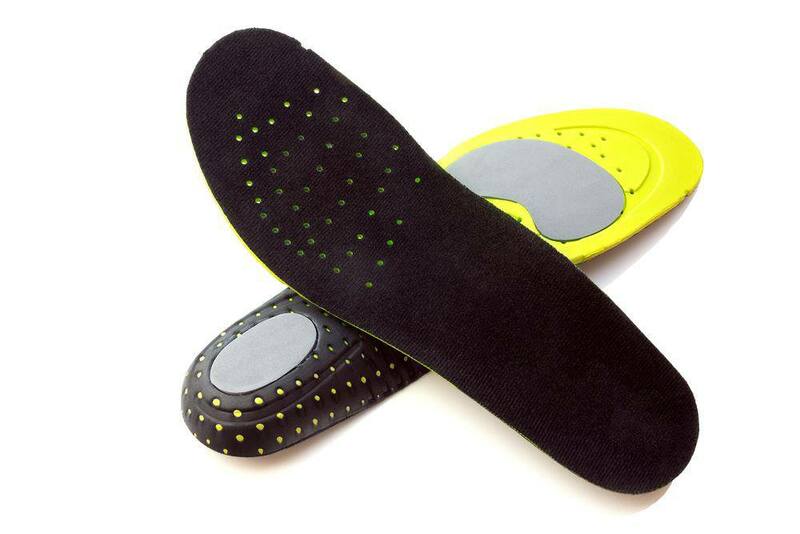 No need to trim, since the insoles come ready to fit inside of your shoes as they are. Has a distinctive honeycomb design for suppleness and support. Contains a deep heel cup for cradling your heel and keeping it in place when you run. Material might feel harder than a normal cushion insole, which means not as comfortable as they should be. I tried on Miscly’s gel comfort insoles, and I liked the fact that I did not need to cut them myself before putting them in, which was a plus. They were flexible and the deep heel cup was perfect for supporting and cushioning my heel, since I tend to be a heel-striker. However, the overall insole felt too stiff for me, which did not make the wearing experience as comfortable as I would have liked. Priding itself with its innovative, progressive technology, Wolverine Men’s cushion insoles offer a distinctive cushioning in the heel strike area to reduce shock impact and thereby keeping you on your feet for longer periods of time. They are also covered with durable fabric that also keeps foot odor at bay, so no more worrying about that when you run! Offers special cushioning at the heel strike area for diminishing shock impact and pain. Made from durable fabric which can also control for stinky foot odor, thereby leaving your feet dry and clean.. Fabricated from polyurethane foam for extra cushioning and protection. Can be a bit thicker than usual, so they might not fit inside conventional shoes. Wolverine Men’s cushion insoles felt very nice. I especially enjoyed the fact that there was so much cushioning inside of them, since I always want my feet to feel comfortable whenever I am pounding on the pavement. Granted, they are on the thick side, which has at times been difficult to squeeze into other shoes for wearing. All in all, the winner of this roundup would have to go to Wolverine Men's Durashock Cushion Insoles (#5). That extra layer of cushioning provided by the insoles makes it a pleasure to wear, no matter what the occasion is (e.g. running, walking, hiking, standing, etc.). They make for a wonderful item to have, especially for those with flat feet or have the tendency to heel strike. In any case, this special cushion insole is worth the investment. 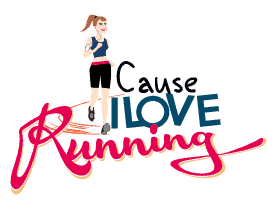 Comment and share this article- happy running!